Ethan asks a great question . . .
1. In Jigsaw Jones #23 The Case of the Perfect Prank it says: “Mila had been my partner for years.” Why years? Have they solved mysteries together since grade Kindergarten? 2. Why is Jigsaw always in grade 2? 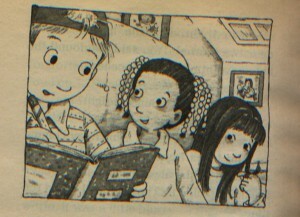 Yes, Mila and Jigsaw have been friends for a long time, and they did crack their first case back in kindergarten. I haven’t written that story yet, but maybe someday I will. 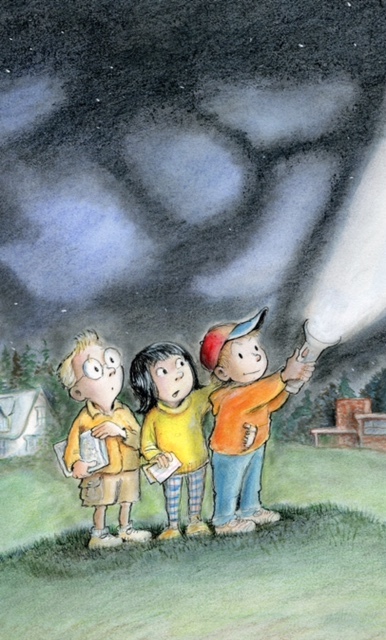 When I started the series, the stories kind of cycled through the school year. After a few books, when it looked like the series was a success and my publisher wanted more titles, I asked my editor: What now? Does he go into 3rd grade? She said, No, he stays in 2nd grade. I said, Well, what about Thanksgiving? It’s already happened in this series. She told me that I could and should write about that time of year again, but each time would be like the first time. Just basically pretend the other books hadn’t been written. Pretty confusing, because with each book the series accumulates new information on all these characters. 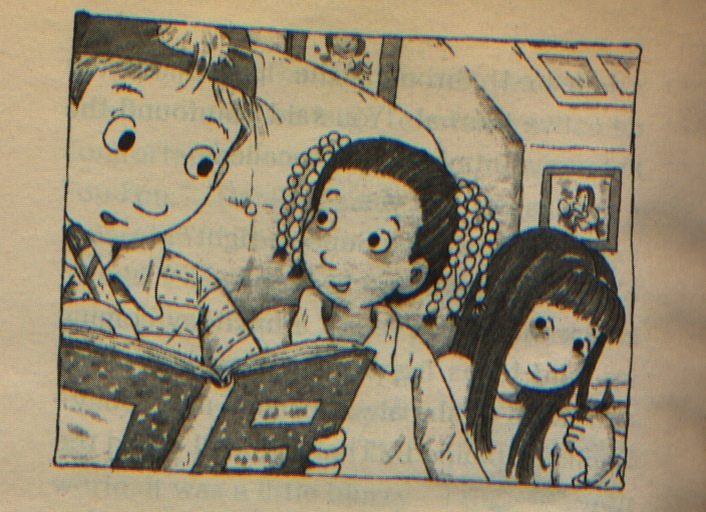 Mila has a stepmother named Alice, for example, Bigs Maloney’s father works as a florist, and so on, so I’ve had to recognize that the books happened, certain facts have been established, while simultaneously pretending that the stories never occurred. Weird stuff. It’s been strange, I’ll admit it, but that’s the way my publisher wanted the series to go. Great question, thanks for writing, and have a terrific, book-filled summer! I’m not a prankster, merry or otherwise, so April Fools Day isn’t a big day here at Chez Preller. But as a kid, we had one surefire trick that worked every time. It was fast, easy, and painless (illustrations by Jamie Smith). The trick was an oldie but a goodie. At our house, we have one of those sinks with a spray nozzle. You squeeze it, and water comes out of the nozzle instead of the faucet. The trick is to tie a rubber band around the nozzle. Then you aim the nozzle outward. Daniel and Nick must have done it last night, when they were giggling in the kitchen. Come morning, my mom went into the kitchen to make her “necessary” pot of coffee. She turned on the water and . 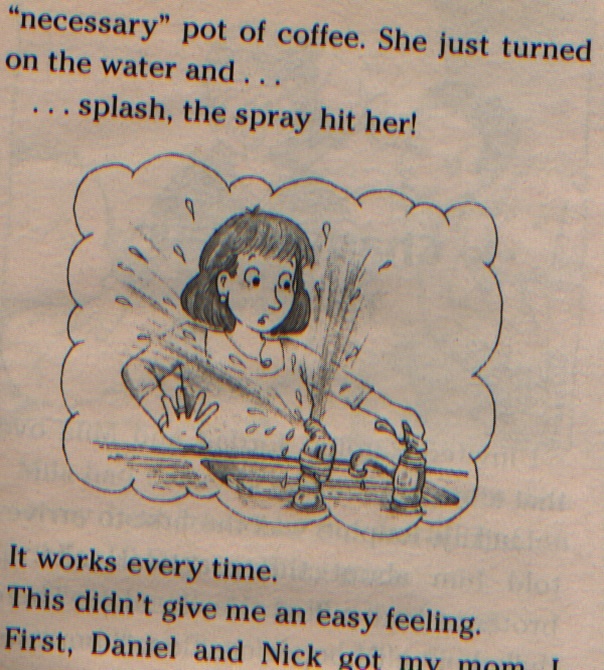 . . splash, the spray hit her! Sometimes it’s as easy as recording a memory . . . and giving it to someone else, a shift from memoir to fiction that makes all the difference. And of course, Jigsaw’s perspective was my life perspective as the youngest in a family of seven children. Sometimes you’re in the middle of the action. Other times, you’re the forgotten observer, witness to all the goings-on. They didn’t realize I’d write about it 30 years later. Neither did I.
I think the trick for teachers — and this is so hard — is to get kids to value the everyday life that surrounds them. All that “slice of life” stuff. Ideas aren’t some magical golden drops from the gods. And if writing has given me anything (and it has), it’s been reflection, looking back, holding on to something valuable amidst the blur and whoosh and accelerated push of life. Maybe I’m just old. But those memories mean more and more as each year passes. Now if you’ll excuse me, I have to go find a rubber band.